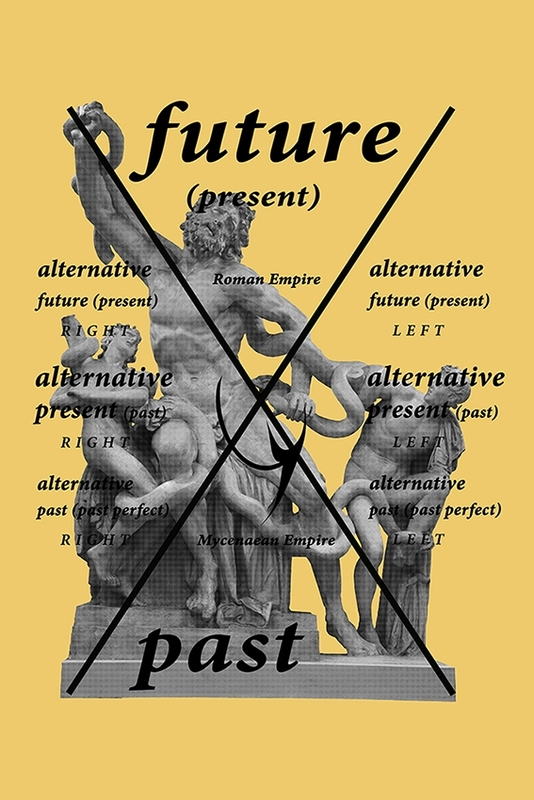 A poster that explains how the possibility of alternative pasts and alternative futures may be hidden within grammar, exhibited along with a text that describes the historical (if not metaphysical) importance of Laocoön and His Sons. It contains a simplification of a light cone in the forms of an X that rotates on its axis. 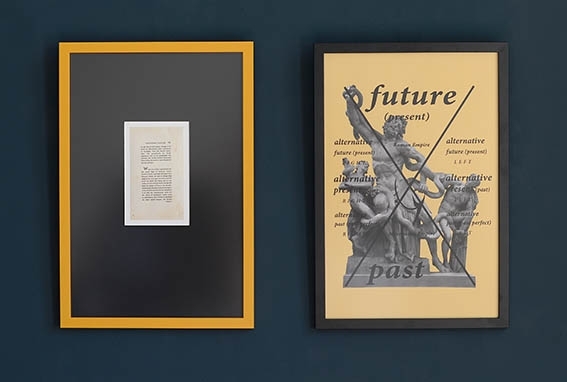 It also includes an image of Laocoön and His Sons as a visual reference to pivotal historic moments within antiquity – implying points in which alternative pasts may have developed. 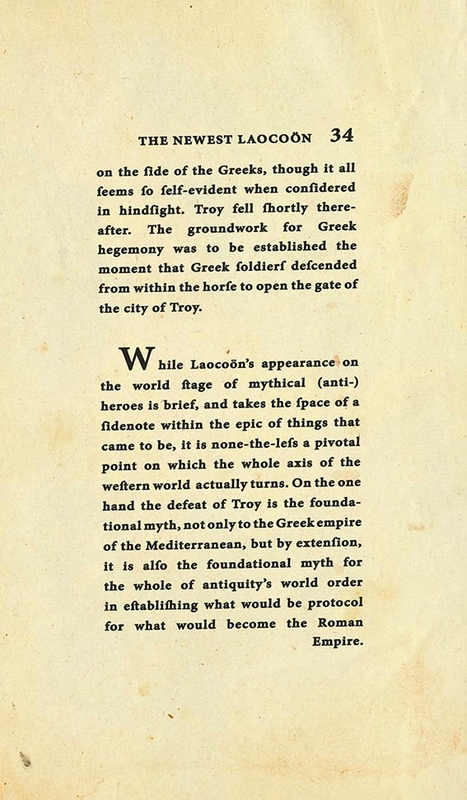 published in the 18 century, and is framed as if it were an historical artifact.